Huawei was among the front-runners in the dual-camera race with the P9 and then the Mate 10, so who better to take things to the next level? The Huawei P20 Pro one-ups all current major players and comes with three cameras on its back, each unique in its own right. Okay, the 20MP monochrome sensor is the least exciting, but not for its lack of color - it's just that we've seen it on a couple of generations of Mates and the P10. The other two, however, are all new. The star of the show is the 40MP camera - let's go ahead and call it the primary one. It's the most resolution we've seen on a smartphone since the Lumia 1020 PureView all the way back in 2013. The third one has a modest 8MP resolution but boasts an 80mm-equivalent focal length - effectively 3x the focal length of the primary cam. All this camera goodness, of course, carries a Leica branding - the badge of a German optics specialist makes everything better as the Lumia 1020, and its Zeiss lens can attest. There's more megapixels on the front, 24 of them in the selfie camera. And you couldn't miss it - it's right there in the notch. Yup, notches are everywhere whether they're needed or not, and whether you like them or not. For all the abundance of pixels in the cameras (some 96MP combined), there are not all that many pixels on the screen - the 6.1-inch AMOLED panel has a FullHD+ resolution of a Huawei-specific variety (1080 x 2240px) to account for the notch. 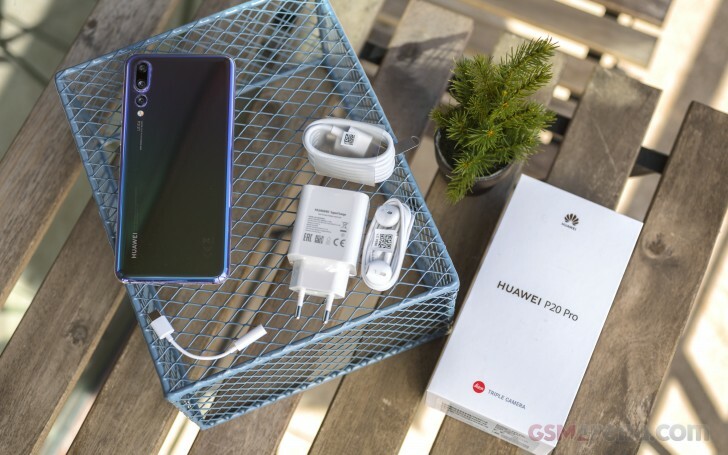 Huawei likes its batteries big, and the P20 Pro gets a nice 4,000mAh power pack, with the company's flavor of fast charging, one of the fastest around. Another thing Huawei's own, the chipset is the Kirin 970 from the last-gen Mates, so no surprises there either. There's RAM and storage to spare too. 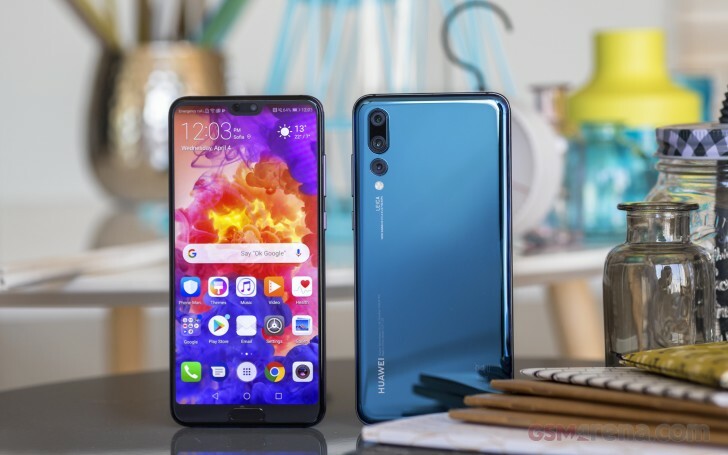 Huawei may be guilty of following some of the not-so-positive trends in the industry such as removing the headphone jack and having a notch on the screen, but we're glad the IR emitter is still on board. It's either Huawei or Xiaomi that you've got left to look to if you want to use your phone to control non-smart stuff around the house. Even the regular P20 won't do - you'll need to step up to the Pro we've got here. So yes, you can have the latest flagship smartphone replace the remote for your 1992 VCR, but first, you'd need to take it out of the box, so let's start with that. There's a USB-A to USB-C cable and a fast charger, and you need both of these together for the proprietary fast charging to work. We love fast charging, but we hate proprietary tech limitations, so we're conflicted. In any case, the fact that you have the quick charger and the cable in the box is great (we're looking at you, Apple). You won't think about the accessories when you first see the phone though, it's simply gorgeous to look at. Join us on the next page where we take a closer look at the two shades of awesomeness on the units we have for review.